This 11 Days Uganda Birding Safari & Murchison Falls Park wildlife safari tour/ 11 Days Uganda safari is the most adventurous safari in Uganda you can ever choose to do. This 11-day safari Uganda is blended with a Uganda birding tour and a Uganda wildlife safari. 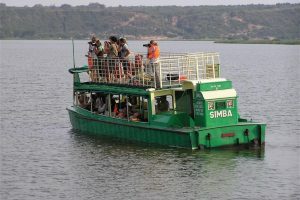 As part of your adventure, you will visit the Mabamba swamp and the Entebbe botanical gardens for a birding safari Uganda, Ziwa Rhino sanctuary for birding and rhino tracking, Budongo forest for birding, Murchison Falls National Park for birding, a wildlife and a boat cruise along the river Nile, and birding Kibale National Park and in the Bigodi wetland. You will travel with your driver guide in a 4×4 safari van, 4×4 super custom, 4×4 minivan, 4×4 safari Land-cruiser depending on the number of people your traveling. Accommodation on this trip in Uganda will range from luxury, mid-range and budget. Day 1 of the 11 Days Semuliki birding safari Uganda & Murchison Falls Park wildlife safari tour/ 11 Days Uganda birding safari: Transfer from your hotel to Mabamba swamp for your day birding trip. Day 3 of the 11 Days Semuliki birding safari Uganda & Murchison Falls Park wildlife safari tour/ 11 Days Uganda birding safari: Transfer from Kampala to Murchison Falls National Park with a birding en route for Birding to Ziwa Rhino Sanctuary – Masindi. Day 7 of the 11 Days Semuliki birding safari Uganda & Murchison Falls Park wildlife safari tour/ 11 Days Uganda birding safari: Depart Murchison Falls National Park for Kibale National Park. Day 8 of the 11 Days Semuliki birding safari Uganda & Murchison Falls Park wildlife safari tour/ 11 Days Uganda birding safari: Do chimpanzee trekking and Birding in Kibale National Park, have lunch and do birding in Bigodi Wetland later in the afternoon. Day 9 of the 11 Days Semuliki birding safari Uganda & Murchison Falls Park wildlife safari tour/ 11 Days Uganda birding safari: You will do Birding you transfer to Semuliki National Park. Day 10 of the 11 Days Semuliki birding safari Uganda & Murchison Falls Park wildlife safari tour/ 11 Days Uganda birding safari: You will go birding along Kirumya trail in Semuliki National Park. Day 1 of the 11 Days Semuliki birding safari Uganda & Murchison Falls Park wildlife safari tour/ 11 Days Uganda birding safari : Transfer from your hotel to Mabamba swamp for your day birding trip. Early in the morning after your Breakfast at your hotel, you will meet our professional driver guide who will take you through a short briefing about your 10 Days Uganda Birding Safari & Murchison Falls Park wildlife safari tour/ 10 Days Uganda safari. After getting your briefing about your birding safari, you will proceed to Mabamba swamp and while there expect to see birds like Grey Parrots, Great-white and Pink-backed Pelicans, Grey-crowned Cranes, African and Lesser Jacana, White-backed Duck, Black-necked, Baglafecht and Northern Brown-throated Weaver, Shoebill Stork, African Fish Eagle, African Goshawk and the Swamp Flycatcher. You will have a lunch break and then continue birding. As part of your adventure, expect to see yellow-throated Greenbul, Great-blue, Ross’s Turaco, Black and White-casqued and Pied Hornbill, Yellow-backed, Brown-throated and Orange Weaver among others. Later after your day trip in Mabamba swamp, you will return to your hotel, dine and rest as you prepare for the next day. The Entebbe botanical gardens are strategically located along the shores of Africa’s greatest and largest fresh water Lake Victoria, just 34 km’s from Kampala. The gardens are an attractively laid-out mix of indigenous forest, cultivation, and horticulture, and a highly attractive destination to birdwatchers. The garden hosts a variety of water, open country and woodland bird species among which include: the Pink-backed Pelican, Yellow-billed Stork, Eastern Grey Plantain-eater, Yellow White-eye, Purple-banded Sunbird, African Jacana, Lesser Jacana, Yellow-billed Duck, Glossy Ibis, African Open-billed Stork, Malachite Kingfisher, Blue-checked Bee-eater, Common Sandpiper, Wood Sandpiper, Green Sandpiper, Black Crake, Long-tailed Cormorant, Crowned Hornbill, Vieillot’ Black Weaver, Woodland Kingfisher, Pied Kingfisher, the Africa and Red-billed Firefinch, Black-and-white-Casqued Hornbill, Senegal Coucal, Little Stint, Little Weaver, Striated Heron, Ruff, Gull-billed Tern, White-winged Tern, Klaas’s and Diederik Cuckoos, Green Crombec, Tambourine Dove, Cameroon, Little and Tooro Olive Greenbuls, Water Thick-knee, Madagascar Bee-eater, Egyptian Goose, Black-headed Weaver, Slender-billed Weaver, Yellow-backed Weaver, Black-headed Gonolek, Long-tailed Sterling, Grey-Headed Sparrow, the Spur-winged Lapwing, endless list. The gardens are also clouded with butterflies, different plant species, Primates and other wildlife. Spend your day there, have lunch and return to the lodge in the evening. Day 2 of the 11 Days Semuliki birding safari Uganda & Murchison Falls Park wildlife safari tour/ 11 Days Uganda birding safari : Transfer from Kampala to Murchison Falls National Park with a birding en route for Birding to Ziwa Rhino Sanctuary – Masindi. After breakfast at your hotel or lodge, you and your guide will set off for your journey to Ziwa Rhino Sanctuary for birding and Rhino tracking in this reserve along the Kampala- Masindi road driving for about 4-5 hours. Your birding safari Uganda will begin towards Ziwa Rhino Sanctuary. You will pass through the famous Luwero Triangle, giving you chance to see birds like the Hooded Vulture, Black Kite, Piapiac, African Hoopoe, White-crested Turaco, Crowned Hornbill, Meyer’s Parrot, Red-billed, Bar-breasted and African Firefinch, Broad-billed and Abyssinian Roller, Shoebill Stork, Marabou Stork, Greater and Lesser Blue-eared Starling, White-crested Helmet-Shrike, Northern Puffback, and Claas’s Cuckoo among others. As you do birding in sanctuary, you can also do Rhino tracking and later drive to your booked lodge or hotel arriving in the evening. Arrive at your hotel in Masindi, check in, freshen up, dine and relax. Depart your lodge/ hotel after breakfast in the morning together with your packed lunch, you and your guide will head to Budongo Forest for your birding tour. Budongo Forest is one of Uganda’s best birding spots also known as the royal mile. This forest was historically known as a leisure spot for the traditional King of Bunyoro that’s where the name Royal Mile came from. While in the forest, you will enjoy your stay in the inside this tropical rain forest. Expect to encounter with several bird species including; the Yellow and Grey Longbill, Chestnut-capped, Yellow-footed, Yellow-crested and Brown-eared Woodpecker, Rufous-crowned Eramomela, Forest Robin, Grey-chested, Brown and Puvel’s Illadopsis, Blue-breasted, Forest Flycatcher, African Dwarf, African Pygmy and Chocolate-backed Kingfisher, Yellow-browed Camaroptera, Lemon-bellied and Green Crombec, Western Black-headed Oriel, African Crowned Eagle, Yellow-spotted, Yellow-billed Barbet, White-thighed and Black & White-Casqued Hornbill, Jameson’s and Chestnut Wattle-Eye, Sabine’s and Cassin’s Spaintail among others. Later in the evening, drive back to your hotel, freshen up, dine and relax. After morning breakfast at the lodge, you will start birding in Murchison falls national park with your Uganda birding safari guide. Murchison Falls National Park is Uganda’s biggest conservation area, covering close to about 3,893sq km, protecting about 78 mammal species and over 450 bird species. While in the park, you will enjoy its wide variety of habitats including wetlands, open savannah grasslands, savannah woodland and forest habitats. During birding, you are likely to encounter specialties that include; the Bat Hawk, Little Sparrow-Hawk, Bruce’s Green Pigeon, Heuglin’s Francolin, Black-bellied and Denham’s Bustard, White-crested Turaco, Black-billed and Blue-spotted Wood-dove, Red-throated and Madagascar Bee-eater, Red-winged Grey Warbler, Fire-crested and Brown-chested Alethe, Rock Pratincole, Pel’s Fishing Owl, Black-crowned and Marsh Tchagra among others. Later in the afternoon after the activity, you will go for lunch and later catch the 2pm boat at Parra jetty. The boat cruise is about 2 hours along River Nile to the bottom of the falls and after you will hike to the top for about 1 hour where you will find our guide waiting for you. This provides us with yet another but different view of wildlife from a close range, as they come to cool off on the showers of this mighty river. Transfer to the lodge, rest and have dinner there. After an early breakfast at the lodge, you will enjoy a game drive in the park to see for yourself the big 5 game animals, driving throught the park trails in your safari vehicle with a pop-up roof to enable you view animals very well. During this activity, you will see animals including; Elephants, Cape Buffaloes, Kob, Giraffes, Ruth-Child’s Jackson’s Hartbeast, Oribi, Jackals, Common Duikers, Patus Monkeys, Lions and Leopards among others. The game drive in the park lasts about 3-4 hours depending on your choice. Have lunch and after do birding. As part of this adventure, you will expect to encounter bird species like; the Black-bellied and Denham’s Bustard, White-browed and Chestnut-crowned Sparrow-Weaver, Fulvous Whistling Duck, Broad-billed and Abyssinian Roller, Whistling, Singing, Black-backed, Croacking and Foxy Cisticola, Black-Lored and Brown Babbler, Double-toothed and Black-billed Barbet, Northern Carmine, Red-throated and Swallow-tailed Bee-eater, Red-necked Falcon, Black-headed Lapwing, White-faced, Matial Eagle, White-headed Black Chat, African Quail-Finch and Shoebill among others. Retire from the activity, return to the lodge and rest. Day 6 of the 11 Days Semuliki birding safari Uganda & Murchison Falls Park wildlife safari tour/ 11 Days Uganda birding safari : Depart Murchison Falls National Park for Kibale National Park. After an early breakfast, with our packed lunch, transfer to Kibale national park with your guide because this day will be more of driving than birding. This drive to Kibale National Park takes you through the Bulisa escarpment, along the Albertine Rift Valley, giving you good views of lake Albert. Continue your journey through Hoima, having spectacular views of the rolling hills of Kagadi and the beautiful tea plantations of Kabarole (Fort-Portal). Along the way you are likely to encounter with the Vinaceous Dove, Morking Chat, Chestnut-crowned Sparrow-Weaver, Foxy Cisticola, Black-billed Barbet, Lesser and Greater Blue-eared Starling, White-winged Warbler Rufous Sparrow, Cut-throat Finch, Beautiful Sunbird, White-browed, and Papyrus Gonolek among others. Arrive in Kibale alte in the evening, check in your prior booked for dinner and overnight. Day 7 of the 11 Days Semuliki birding safari Uganda & Murchison Falls Park wildlife safari tour/ 11 Days Uganda birding safari : Do chimpanzee trekking and Birding in Kibale National Park, have lunch and do birding in Bigodi Wetland later in the afternoon. Wake up early in the morning, and report to Kanyanchu; the headquarters of the Kibale National Park where you will have briefing by the rangers about the etiquette of Chimpanzee trekking in Uganda. After the briefing, the ranger guide will lead you in the forest to search for the chimpanzees. The activity takes about 4 hours. This park is also home to a community of more than 1000 Chimpanzees and about 12 other primate species. During your trekking, you will see a big number of primates alongside the chimpanzees. This forest also has over about 335 recorded bird species. While in the forest, you may also come across bird species like the Green-breasted Pitta, Olive and Afep Pigeon, Black Bee-eater, Yellow-rumped Tinkerbird, Yellow-spotted and Yellow-billed Barbet, African Broadbill, Willcock’s and Thick-Billed Horneyguide, Horneyguide Greenbul, Purple-headed and Chestnut-winged Starling, Dark-backed and Black-necked Weaver, Dusky Long-tailed Cuckoo, Red-capped and Grey-winged Robinchat, African Crowned Eagle, Fairy-breasted, Red-chested Owlet, Red-headed Bluebill, Brown and Scaly Illadopsis among others. Retire from the forest, have lunch and later in the afternoon, go for birding in Bigodi wetland. Later in the afternoon, go for a nature walk or birding in the Bigodi wetland sanctuary, for another birding experience and here you may have chances for the Buff-spotted and Brown-eared Woodpecker, Shining-Blue Kingfisher, White-collard Oliveback, Joyful Greenbul, Dark-capped and Papyrus Yellow Warbler, Papyrus Gonolek, White-tailed Ant-thrush, Green-backed Twinspot and White-spotted Flufftail among others. Later go back to the lodge in the evening for dinner and overnight. Day 8 of the 11 Days Semuliki birding safari Uganda & Murchison Falls Park wildlife safari tour/ 11 Days Uganda birding safari : You will do Birding you transfer to Semuliki National Park. After breakfast at the lodge, have your lunch packed, and set off for birding towards Semuliki national park, that lies in the Albertine Rift Valley and it’s an Eastern extension of the great Ituri forest from Eastern Congo. On your way there, expect to encounter large a good number of the Guinea-Congo biome species. 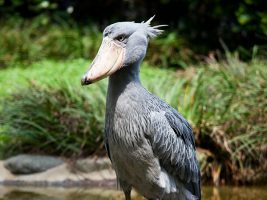 Semuliki National Park is the best place in Uganda where a birder can see some of the West African species that can hardly be accessed from other places in East Africa. The specialties here include; the Western Bronze-napped Pigeon, Spot-breasted Ibis, Northern Bearded Scrub-Robin, Nkulengu Rail, Orange-Cheeked Waxbill, Grant’s Bluebill, Black-bellied Seedcracker, White-crested, Red-billed Dwarf, Black-Dwarf, Black-casqued Wattled, White-thighed and Piping Hornbill, Shining-Blue, Chocolate-backed and White-bellied Kingfisher, Barred Long-tailed, Olive Long-tailed and Yellow-throated Cuckoo, Long-tailed Hawk and Red-thighed Sparrowhawk among others. Transfer to your lodge, relax, and have dinner. Day 9 of the 11 Days Semuliki birding safari Uganda & Murchison Falls Park wildlife safari tour/ 11 Days Uganda birding safari : You will go birding along Kirumya trail in Semuliki National Park. After an early morning breakfast, with our packed lunch, we start a whole day birding activity along the Kirumya trail of Semuliki National Park. Semuliki National Park poses among Uganda’s best birding spots. While there, expect to encounter with species like; the African Piculet, Fire-crested Aleth, Lyre-tailed, Spotted, Yellow-throated Cuckoo, Lemon-bellied Crombec, Yellow-throated Nicator, Long-tailed Hawk, Capuchin Babbler, Swamp Palm Bulbul, Leaf-love, Xavier’s, Icterine, Zenker’s Horneyguide, Sassi’s, Olive and Simple Greenbul, Orange-tufted Sunbird, Red-billed Helmet-Shrike, Rufous-sided Broadbill, Chestnut-breasted and Pale-fronted Negrofinch, Forest Scrub-robin, Nkulengu Rail, Green-tailed and Red-tailed Bristlebill, Black-collard Lovebird, Ituri Batis, White-throated Blue Swallow, Red-rumped Tinkerbird and Red-thighed Sparrowhawk among others. Return to your lodge and relax. After breakfast, prepare to set off for Entebbe. You and your guide will start birding as you transfer to Entebbe, via the Kampala-Mubenede-Mityana road driving for about 6 hours. You will arrive in Kampala in the afternoon have lunch and drive to the Airport for your flight back home.